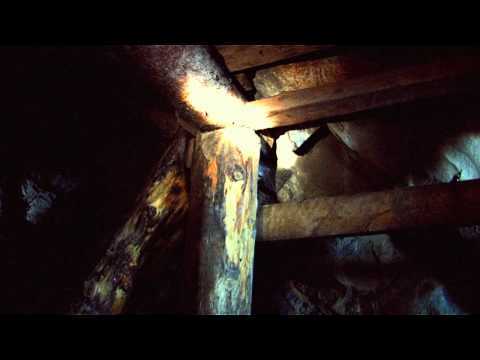 The Bellevue Underground Mine is the trade name of the Crowsnest Pass Ecomuseum Trust Society. The Crowsnest Pass Ecomuseum Trust Society date of incorporation was December thirty-first, nineteen eighty-six. The Bellevue Underground Mine takes pride in its certification as an Alberta Museums Association Recognized Museum and an Alberta Provincial Historic Resource. In 1990 the Crowsnest Pass Ecomuseum Society re-timbered three hundred meters of the original haulage level of Bellevue Western Canadian Collieries. The tour’s beginnings were humble and saw an average of ten visitors a day from May 1st to the end of August. Storage for tour gear was in a garage on the mine site. Since then the number of visitors to the mine has increased to an average of one hundred and ten per day, with over thirteen thousand visitors each year. The Bellevue Underground Mine is the only and historically authentic underground mine tunnel that is accessible in Western Canada. In addition to being a popular tourist destination, it also provides meaningful employment and contributes to the local economy of the community. The BUM’s most important contributions are to culture, heritage and community well-being. Through its interpretive program, the Bellevue Mine provides visitors with an appreciation of Western Canada’s diverse history. Visitor’s make personal connections to stories of labor, family, immigration, industry and the Canadian Pacific Railway. The Bellevue Underground Mine gives visitors first-hand experiences that their health and well-being. There are spaces to take a walk, have a picnic, or contemplate the beautiful surrounding mountains. Outdoor spaces include exhibit areas, a large green space with a gazebo and a quiet little park below the mine portal. The original goal of the Crowsnest Ecomuseum Trust Society was to save historical buildings and sites in the Crowsnest Pass for the appreciation and education of future generations of Canadians and international visitors. The government hoped to diversify the economy of the Crowsnest Pass through tourism, as mining in the Pass was fazed out. A Board of Directors governs the Bellevue Underground Mine and is managed by an Executive Director. The current board has extended the interpretation season from April to the end of October. The length of time that the mine can offer tours depends on the availability of trained interpreters. Federal, Provincial and Municipal funding are the mines main sources of operational revenue. Funding the Bellevue Underground Mine’s operations is made possible through government grants and generous private and corporate donations.
" “I volunteer at the mine because of all the happy faces I see, especially the children’s smiling faces. I do it so visitors can experience the life my grandfather and other underground coal miners had.” "